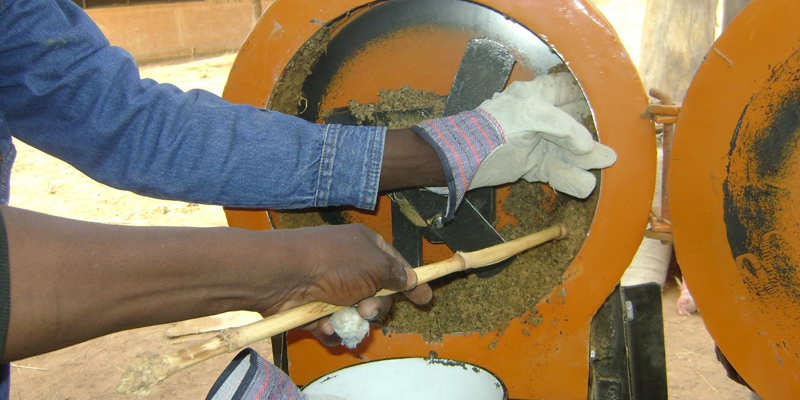 The National Institute for Agricultural Research of Niger (INRAN), in collaboration with the Niger-PPAAO and FAO has developed a simple manufacturing technology Multi Densified Nutritional Blocks for livestock (BMND). These blocks are made from local fodder, millet stalks (whole and grounded), pods of Faidherbia albidia (whole and grounded), crushed cottonseed cake, wheat sounds, minerals (salt, phosphate, limestone) and binders (acacia or cassava flour. the quality of the blocks was evaluated through the measurement of impact resistance (resistance to transport) and the resistance to the disintegration of the blocks upon absorption of water (resistance to humidity).